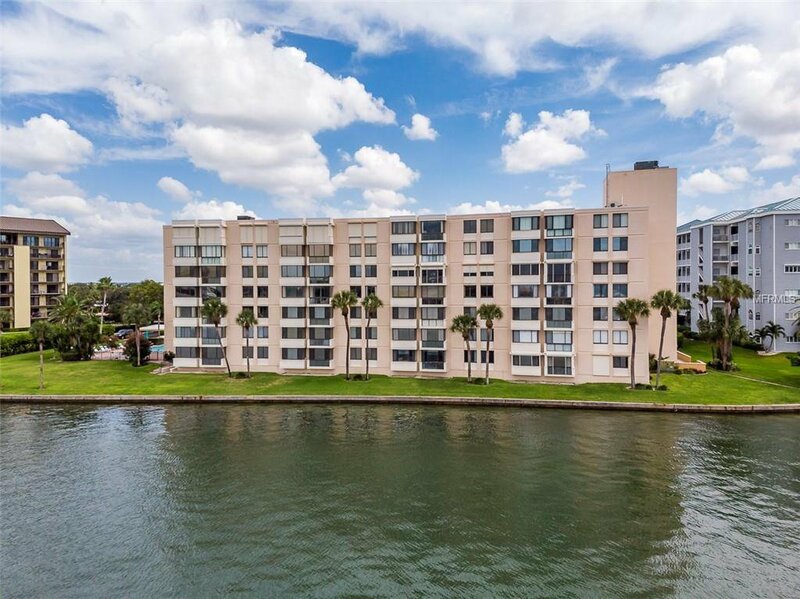 THIS BREATHTAKING FULL WATERFRONT CONDO, FEELS AS IF YOU ARE FLOATING ON WATER FROM THE MOMENT YOU WALK IN, FULLY RENOVATED IN 2016. SELLER SPARED NO EXPENSE USING THE FINEST OF MATERIALS, WATERVIEW FROM ROOMS, STARTING WITH THE KITCHEN: EQUISITE STAINLESS RETRACTABLE WALL-MOUNT POT FILLER, STAINLESS APPLIANCES, DROP IN SINK, CEILINGS FANS, EXPANSIVE ENTERTAINING AREA, RELAX AT YOUR BREAKFAST NOOK WHILE BEING ENCHANTED BY THE DOLPHINS SWIMMING BY IN THE INTERCOASTAL. BATHROOMS HAVE WALL TO WALL PORCELAIN TILE WITH GLASS BORDER TRIM, INLETS FOR SHAMPOO, MISC., BUILT IN BENCH, AND ALLURING PEBBLE FLOORING IN SHOWERS. SCHEDULE TODAY TO SEE THIS SENSATIONAL HOME! CLEARWATER BEACH VOTED #1 BEACH IN THE USA. SOLD-AS-IS, BUYER TO VERIFY SQUARE FOOTAGE, PROOF OF FUNDS WITH OFFER. Listing courtesy of CHARLES RUTENBERG REALTY INC. Selling Office: SAND KEY REALTY.